Book One: Diamonds – Life had not been too kind to little Tomika Drake. Other than growing up in one of the most ill-reputed cities in the state, at age 13, she lost her beloved mother and soon after, her father was incarcerated. For the next three years, she lived her life stuck in a suburban hell with her narcissistic half-sister and her equally evil mother, but on her 16th birthday, her life changed when she was forced to unwrap the powerful superhuman gift that was bestowed upon her at birth. Pretty Killers examines millennial American pop culture, politics, and society through a whirlwind week starting when a once-in-a-lifetime opportunity with a famed fashion mogul brings the feuding family to the sparkling metropolis of Queen City. But the shine quickly fades when they learn that the neighbouring burg has been tackling an issue with humongous mutants and other terrors, including a gang that Tomika’s half-sister gets caught up in. When the fate of the city ends up on Tomika’s shoulders, will she find it in her heart to save her half-sister, or take the chance to finally do away with the scourge while saving the city from her gang’s tirades? Where do you find your inspiration? Strangely, I find my inspiration mostly in music. 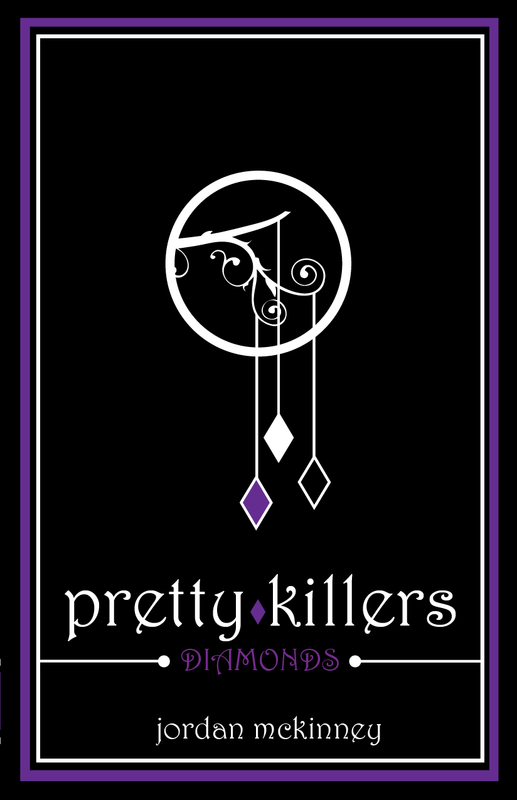 What is your favourite aspect of Pretty Killers:Diamonds? I like the double meaning. How pretentious of me, right? Who is your favourite character from Pretty Killers:Diamonds and why? Tomika. because she’s overtly sardonic, but still sensitive inside. What are you working on now? Currently, working on the follow-up to Diamonds. What do you love about most about writing? I love how you can stretch the limits of reality. Jordan McKinney is that quintessential ’90s kid. You know, the kind of person who repeats ad nauseum how cartoons and the economy and just everything was better up until the year 2000. But with growing up in a small city just outside of Detroit, Michigan, there isn’t much to do but observe, and analyse. Maybe that’s why he grew up to study Sociology in college and then, in turn, used that knowledge to scrutinize subjects in popular culture against sociological and psychological concepts in his writing. Maybe he likes to eat burgers and uses writing to pay for his habit. Who knows anything, but the fact that he’s a writer who tries too hard to be funny. But, no, seriously, Jordan McKinney became a writer because books are such an important–or used to be an important–part of life. They pass on information, and create worlds that you thought could not exist. And to speak on life from a young Black kid’s perspective is Jordan’s goal. This entry was posted in Events, May 2012 - Indie Author Event and tagged author bio, buying links, diamonds, interview, jordan mckinney, pretty killers, website. Bookmark the permalink.